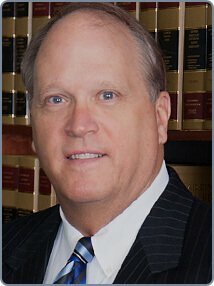 Meet Business Dispute & Personal Injury Attorney Lamar Armstrong, Jr.
Meet L. Lamar Armstrong, Jr. Litigation Attorney L. Lamar Armstrong, Jr.
As an Eastern North Carolina injury attorney and business dispute attorney, L. Lamar Armstrong, Jr. has tried many cases to judges and juries and is proud to be a trial attorney. However, Lamar believes his job is best described as helping people solve problems. Whether that problem is a car wreck, medical negligence, an insurance company’s refusal to pay, an unfair business act or practice, refusal to pay a debt, property disputes, or other ways people are hurt and need help, there is a problem that is best served by compassionate understanding focused through passionate advocacy. Lamar is a partner with his wife, Marcia H. Armstrong, at The Armstrong Law Firm, P.A., located in Smithfield, North Carolina. One should not kill a mosquito with a hammer, but in conflicts, sometimes a hammer is required. The key is not only knowing when to reach for the hammer, but also knowing how to use it. With wisdom borne of three decades resolving clients problems, in court and out, sometimes with hammer and sometimes not, Lamar has learned to use properly and aggressively all the tools of our justice system to efficiently help his clients solve their problems. Sometimes this is early, out of court discussion and settlement. Sometimes it must be trial by jury. Lamar has the experience and ability to help you solve your problem. Ask others you know and trust about Lamar. He looks forward to helping you solve your problem. Lamar graduated with Phi Beta Kappa distinction from the University of North Carolina in Chapel Hill (UNC-CH) in December of 1977, completing his undergraduate degree in Political Science in three and a half years. Lamar graduated from the UNC-CH School of Law in 1981, and began the practice of law in Smithfield. Within a few years, Lamar concentrated on civil claims for businesses and personal injury in state and federal court. For over 30 years, Lamar has remained a member of the North Carolina Advocates of Justice, the North Carolina Bar Association and the American Association for Justice. Lamar is an active member in the American Board of Trial Advocates. Based on ratings by his peers in the legal community, Martindale-Hubbell has always listed Lamar as “AV” rated, the highest rating available. Lamar is also proud to have been named a Super Lawyer® in business dispute every year since 2009. Contact Eastern North Carolina Business Dispute Attorney L. Lamar Armstrong, Jr. The Armstrong Law Firm, P.A., offers clients small-town service and delivers large-firm results. Unlike other law firms, Lamar does not pass important work to inexperienced attorneys and handles the details of his clients cases himself.